This year winter season was quite rough on my skin, even though I have oily skin I got dry patches on my cheeks which made my skin look dull. I did try a couple of moisturizers, they did work on the dryness, but it was short lived. 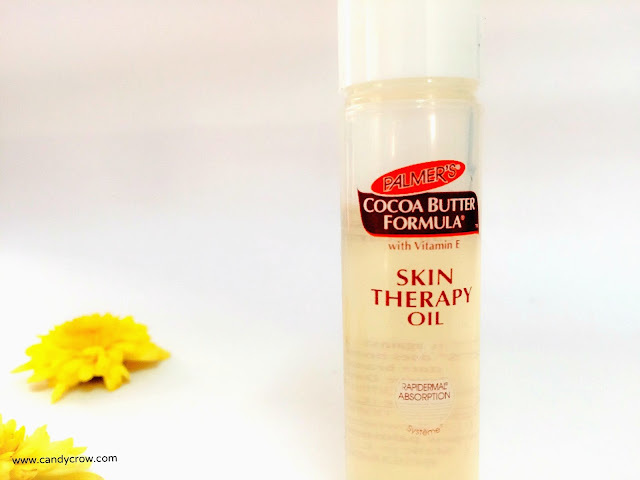 I received Palmer's Cocoa Butter Formula Skin Therapy Oil in my December fab bag; it claimed to treat scar, stretch marks, dry skin, uneven skin tone and aging skin; I thought why not give it a try, after all, Palmer is well known for treating dry and damaged skin. Palmer's Cocoa Butter Formula Skin Therapy Oil comes in a roll on type packing which makes application an easy task. 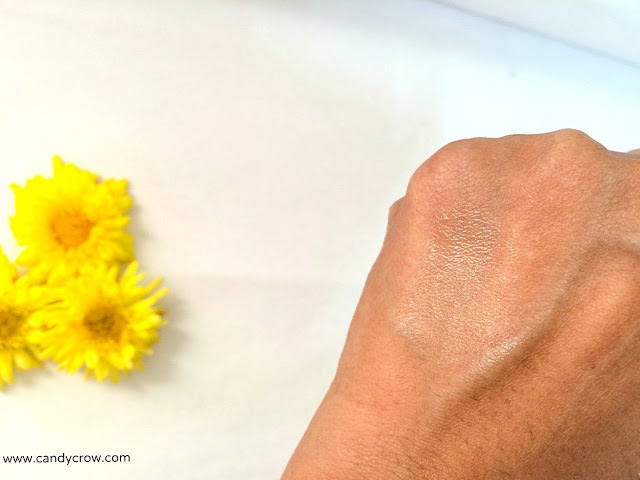 It has cotesomate-E which helps in delivering all the vitamins and nutrients directly into the epidermal layer of the skin. 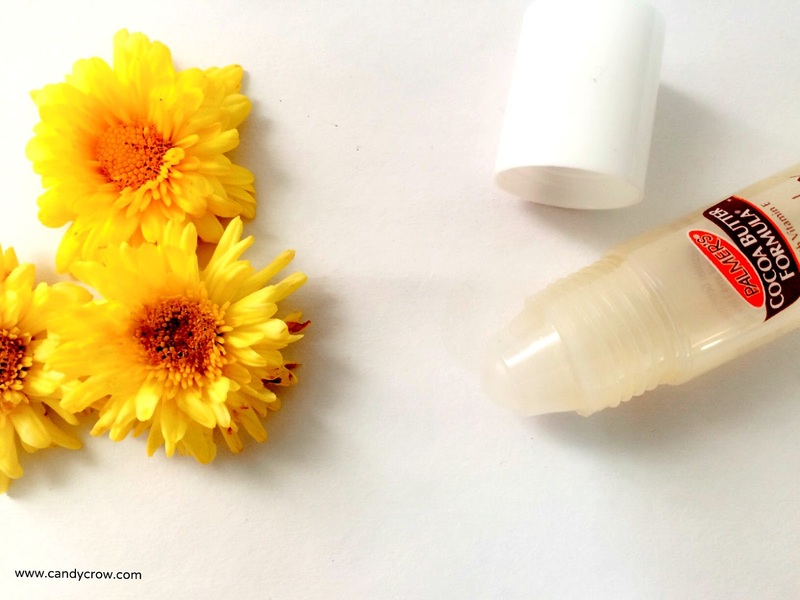 Other Key ingredients are cocoa butter, vitamin E, sesame oil, canola oil, and rosehip oil. I used Palmer's Cocoa Butter Formula Skin Therapy Oil as an overnight night treatment. To my surprise my skin started to feel better from the next day, it felt more nourished and moisturized even after washing it off. I have been using it for a week, and nearly 75% of the dry skin patch has vanished, I also noticed some acne scars off. 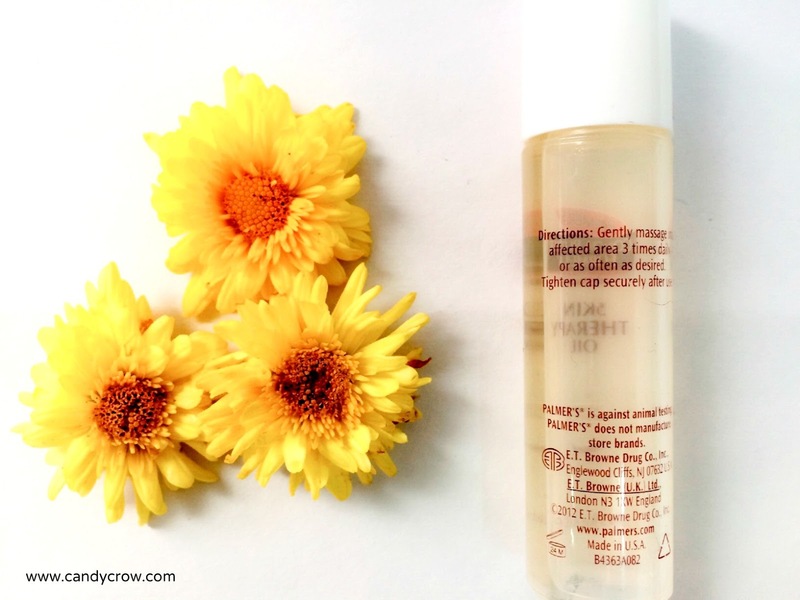 It does not feel greasy on skin nor does it stain clothes. I have not yet tried it on my stretch marks, so no comments on that claim. 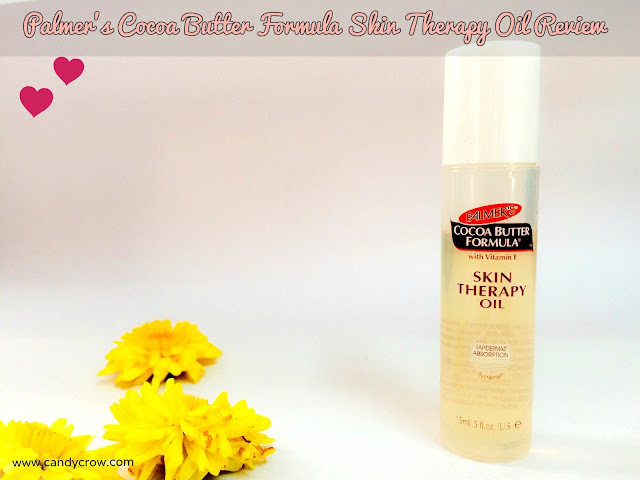 Palmer's Cocoa Butter Formula Skin Therapy is a must try for all women with dry skin or dry patches, it also helps in healing acne marks and adds a healthy nourished glow to the skin. Yup! I am buying this again.